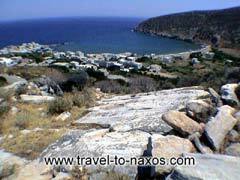 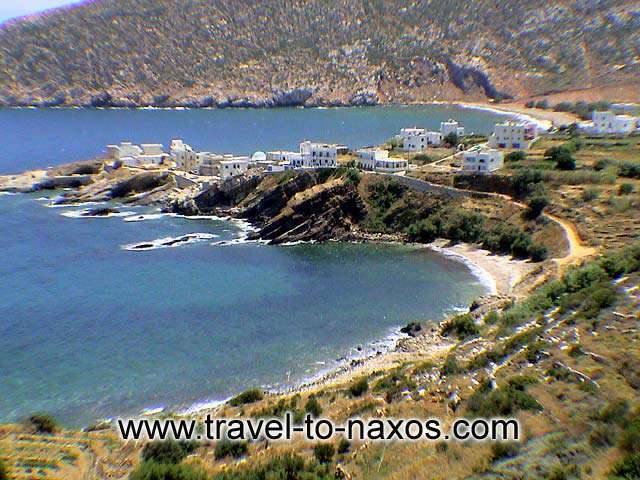 The picturesque fish village of Apollonas lies at the northeast part of Naxos, 48 km from Chora. 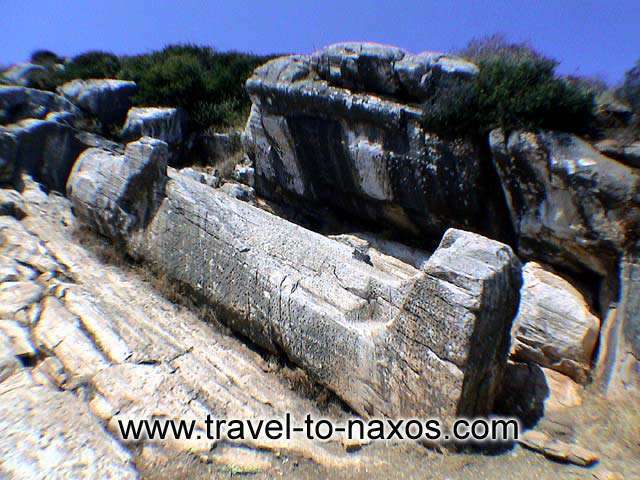 A gigantic unfinished statue of Apollo stands at the entrance of the ancient marble quarry. 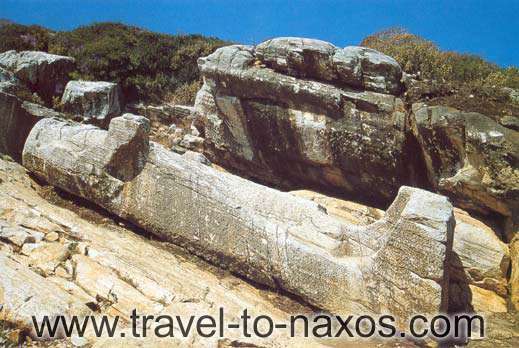 It is the 10m-height Kouro of the 6th BC. 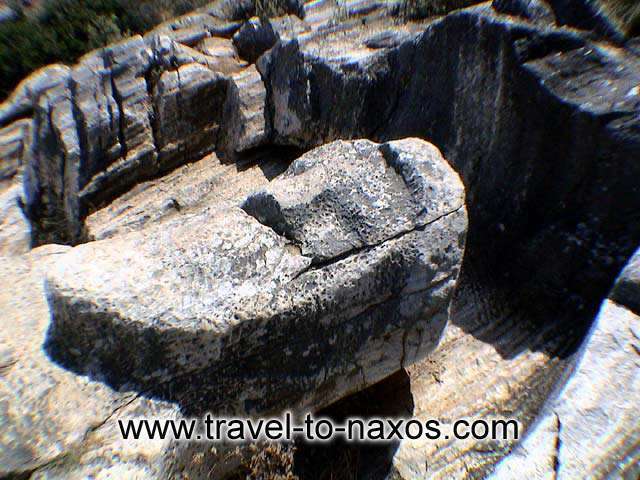 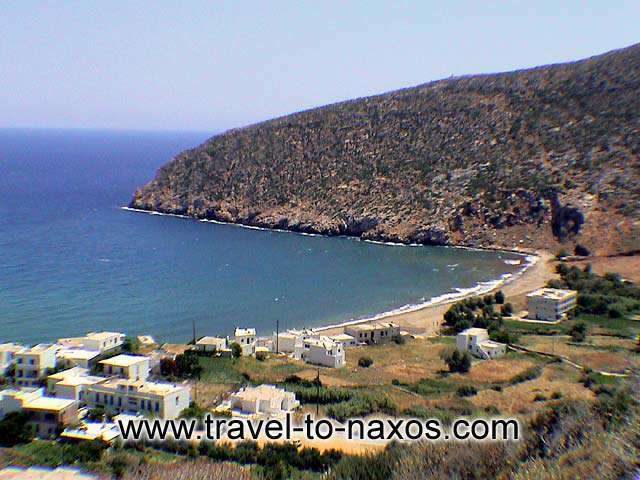 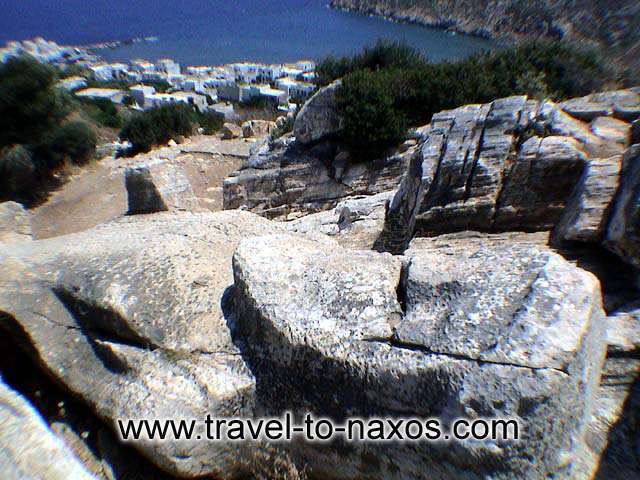 Eastern Naxos attracts more tourists who visit it to admire the natural beauties of Apollonas, the ancient quarries and the sights of the surrounding area. 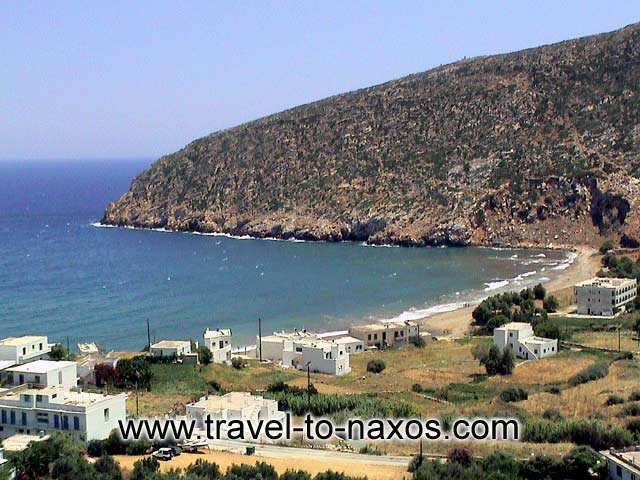 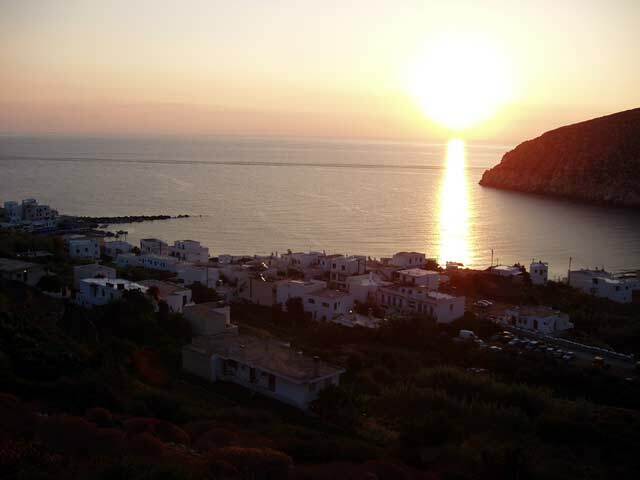 The golden beach of Apollonas is ideal for swimming and water sports. 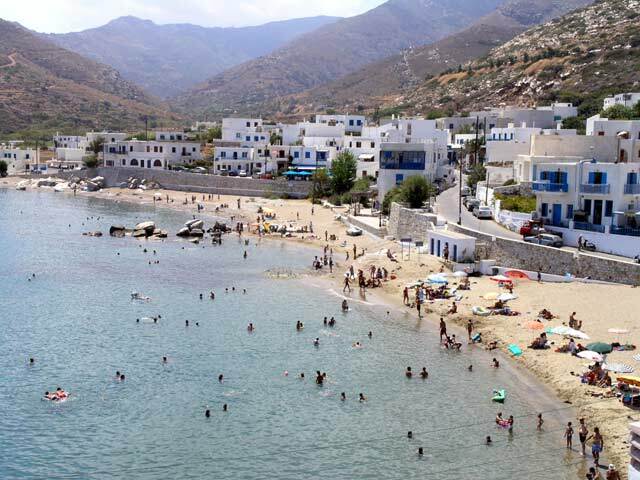 There are many seaside taverns where you can enjoy a nice meal after your swim.